One of the perks of my internship in Amsterdam was that we had Nghia Nghia just around the corner from the office (which I just discovered has sadly closed down). There, you could get the most delicious pho, bahn mi and the best summer rolls I've had in my life. Vietnamese food is packed with flavour, but light enough to not make you feel all snoozy the whole afternoon, which isn't convenient when you gotta get a lot more work done after lunchtime! The menu is short but has all the classics you want/need: curry, noodles, pho (soup), rice noodles and salads. 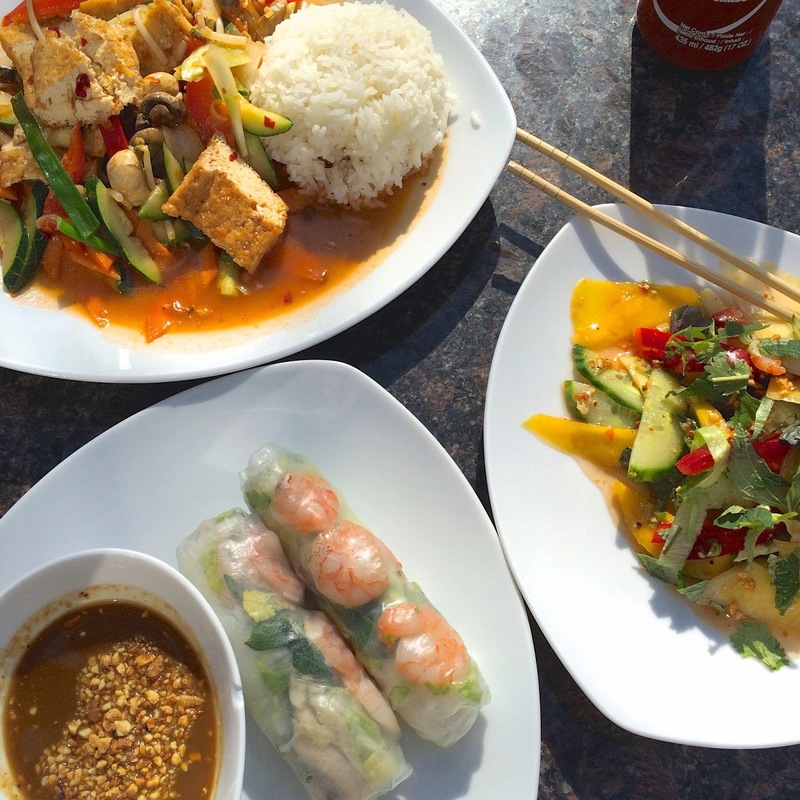 With each dish you can choose either chicken, beef, tofu or shrimps. Everything costs between 5 and 7 euros so it's very good value. You can eat there (there's a terrace, inside it's a little small) or you can take it away. 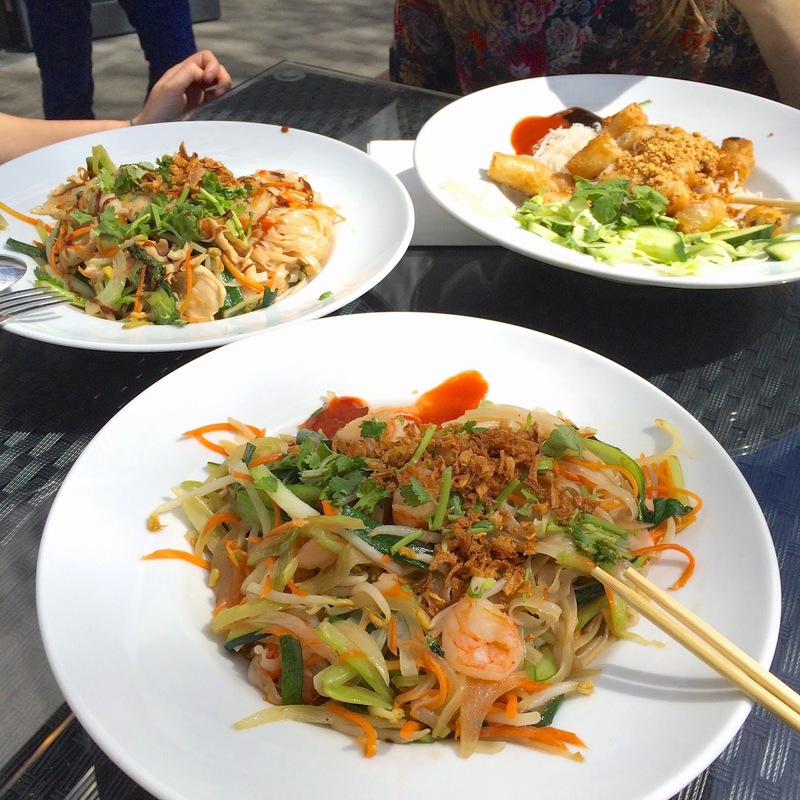 A few of my favourites are the summer rolls with shrimps (and a very tasty sauce), the spicy mango salad and the rice noodles with chicken. Number 25, the chicken curry, is super popular but I have yet to try this.